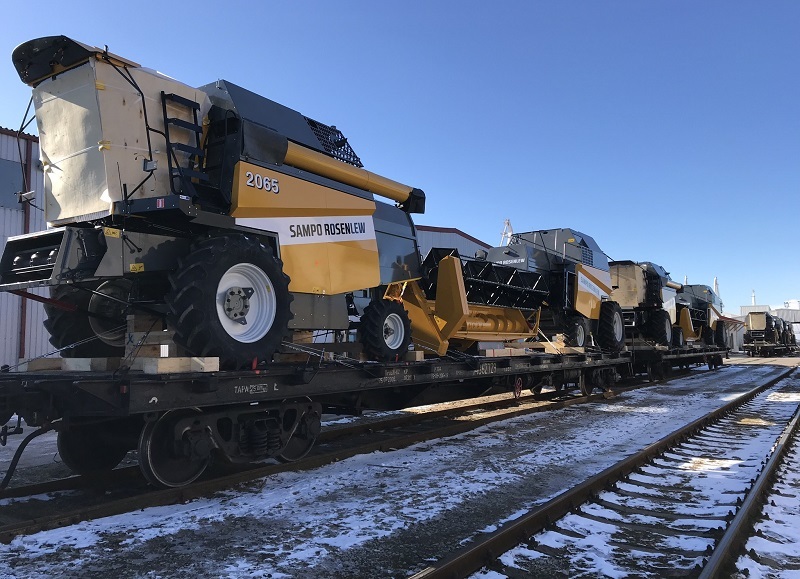 CF&S were recently awarded the transport of 50 Sampo harvesters with headers from Pori in Finland to Shirvan, Azerbaijan. CF&S transport the harvesters by trucks from Finland to Paldiski Port in Estonia where they are reloaded to railway platforms and sent to Azerbaijan by rail. Daimar continues; “The advantage of using Paldiski as a hub for transporting oversized goods from Finland to CIS countries and Russia is not only smoother and easier but also a cheaper solution”. CF&S currently owns 140 x 80ft-long railway platforms, 40 x 60ft platforms and 40 closed wagons. They are reliable PCN members representing Estonia, Latvia and Lithuania.